The geological diversity of the region’s natural conditions has brought large potentials and values to the promotion of tourism, researches, and geological education. In October, 2010, Dong Van Karst Plateau was recognized as the first Global Geopark in Viet Nam. 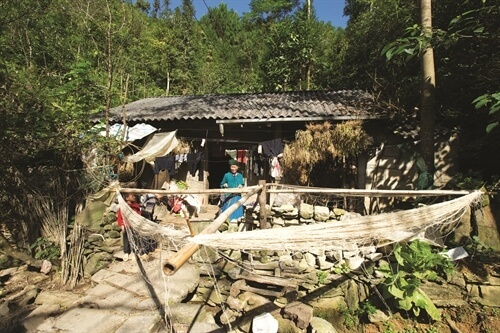 Since then, the number of tourists to Ha Giang has been steadily rising, consequently, the local people can enjoy the benefits from the development of tourism in the region. Especially appreciating the values of the karst plateau, recently the PM has approved the overall plan of conserving, restoring and promoting the values of Dong Van Karst Plateau Global Geopark in the period from 2012 to 2020 and in 2030 vision. This shows the attempt of Ha Giang authority in the conservation of the human heritage, economic promotion and in improving the living standard for the people in this karst plateau region. The whole view of Dong Van ancient town – the place presenting the development of hundreds-year-old architecture and culture with old features, peaceful and quiet atmosphere. At a height of 1,000 meters above sea level, Dong Van Karst Plateau covers an area of 2,356 kilometers square consisting 4 districts Quan Ba, Yen Minh, Dong Van and Meo Vac.